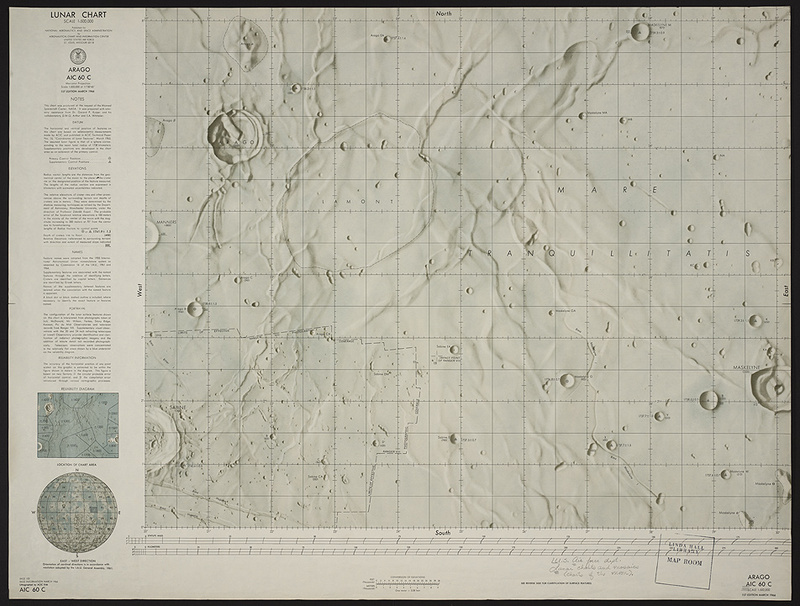 The illustration is a detail of the lower left quarter of the chart, and the limit of coverage of the Ranger VIII photographs is outlined by dashes. The lack of detail outside the boundary is graphic evidence of the limitations of even the best earth-based photographs. Tranquility Base was established just to the left of the letter "O" in the phrase "Limits Of Effective" at bottom right. The three small craters that stretch across below center from Sabine--B,D, and E--were renamed Collins, Aldrin, and Armstrong after the successful Apollo 11 landing.